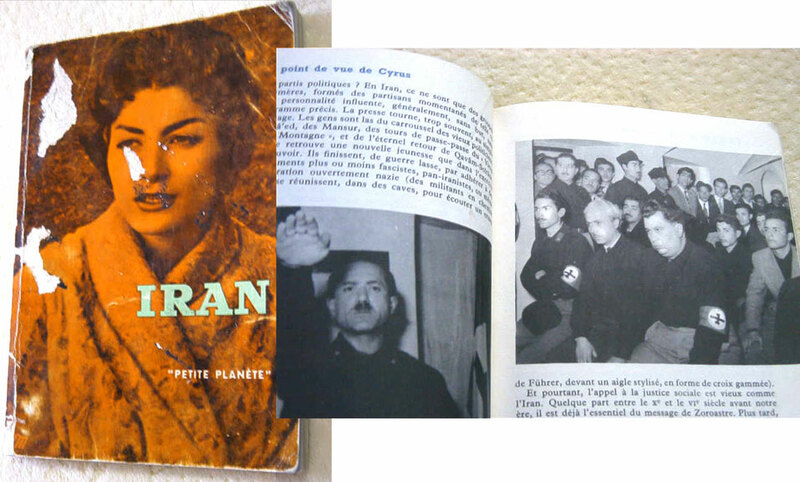 Description on ebay: Picture showing the marginal Iranian Nazi Party created in the 1930's when Iran was an ally of Nazi Germany. The picture is from a French book titled "Iran". Profusely illustrated with many photos of 1950's Iran and earlier. Soft cover, 192 pages, published 1957. Contents: DRAGON VOLANT, LE POINT DE VUE DE CYRUS, VILLE DE FAINCE, LES SATRAPES ET LES MAGES, A LA PERSIENNE, LE ROYAUME DE L'ESTURGEON, LE FEU DU SEIGNEUR SAGE, NECESSAIRE DE VOYAGE.